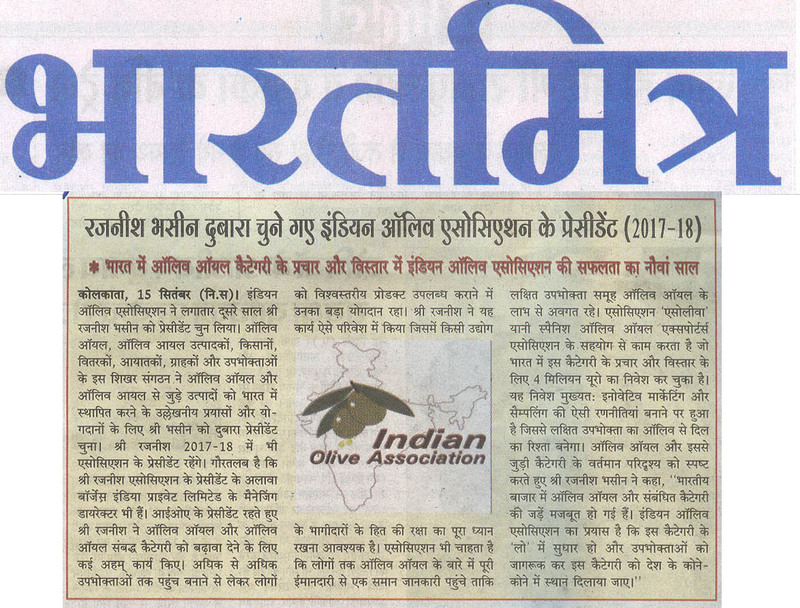 Links to various newspapers / magzines in which news items appearing on the olive oil sector. 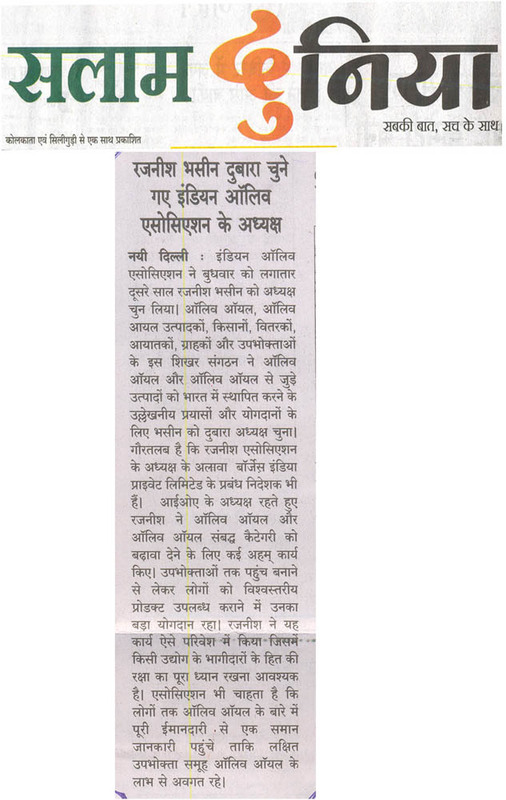 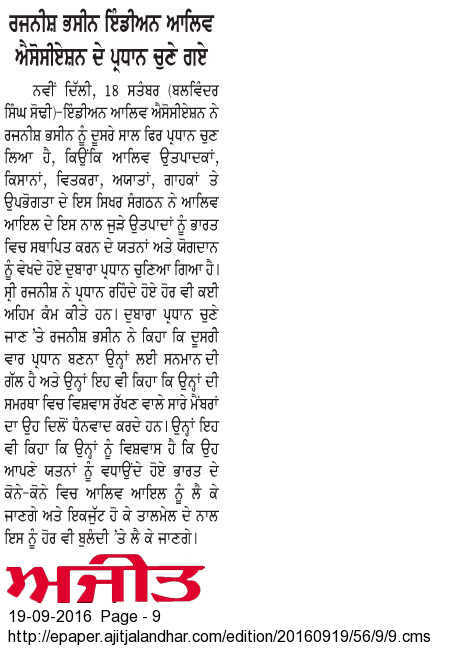 Navbharat Times, Delhi : Scan attached. 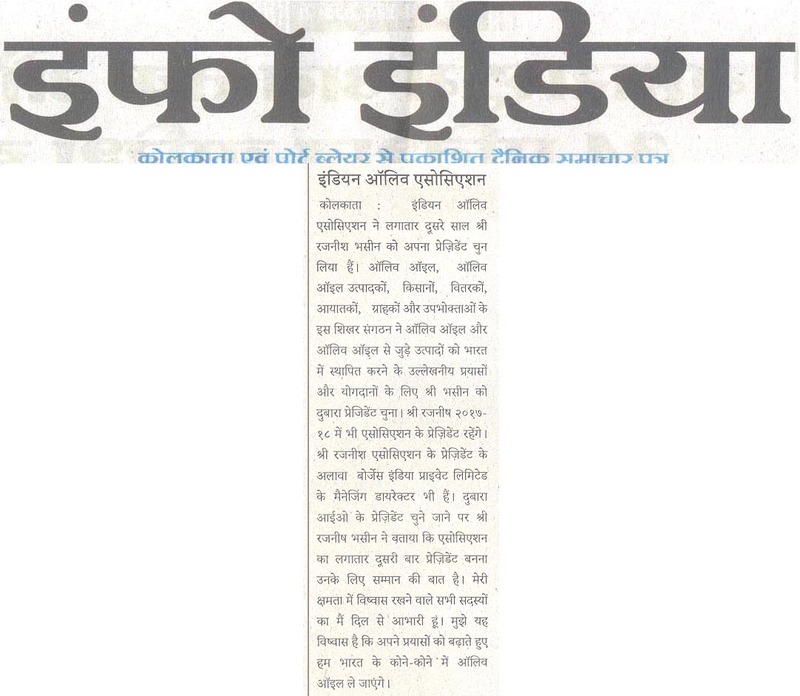 Navbharat Times, Mumbai : Scan attached. 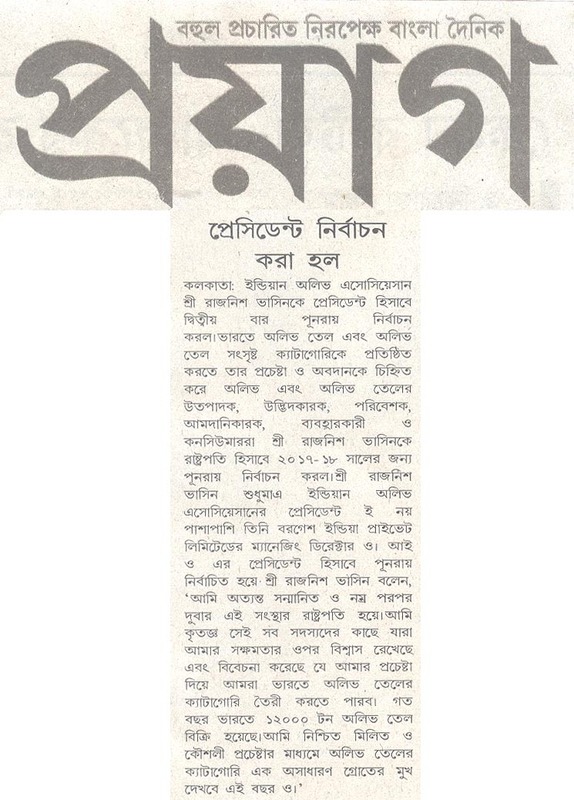 New Indian Express : Scan attached. 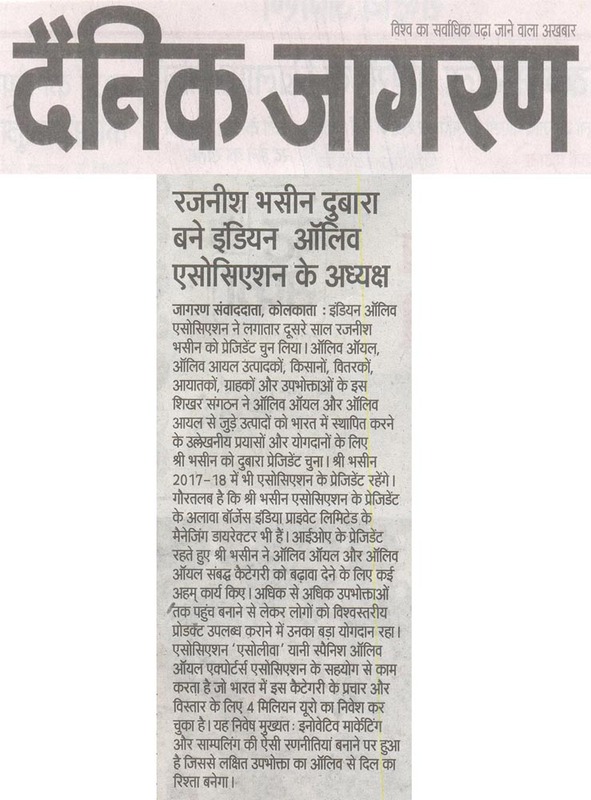 Political & Business Daily : Scan attached. 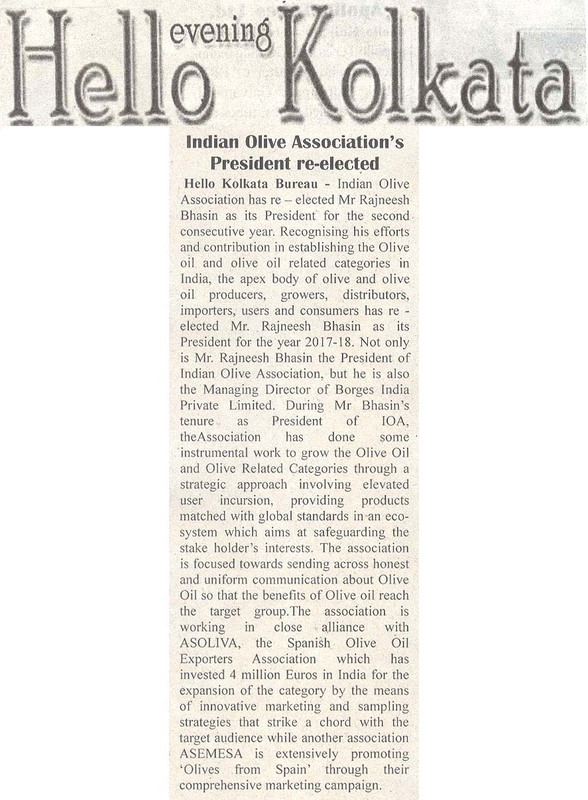 With the Centre reducing the customs duty on all grades of olive oil to 7.5 per cent from the previous rates of 45 per cent on virgin olive oil and 40 per cent on refined olive oil, Mr. V N Dalmia, President, Indian Olive Association had stated that prices of olive oil are likely to come down by up to 15 per cent on the stocks imported after April 1.